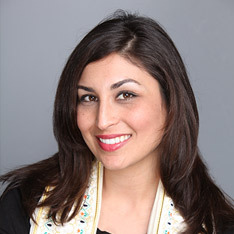 Cantor Elisa Waltzman was ordained by AJR CA in 2009, after earning her Master of Music and Bachelor of Music Degrees in Vocal Arts from the University of Southern California. With her classical music background, she is a proud mom with a deep passion for bringing quality music to children and their families. Blending her love of various musical styles, formal classical vocal training, knowledge of Hebrew Liturgy and Hebrew song repertoire, and the musical sounds and styles most enjoyed by her own children, she released her first studio album “Reinvented: Hebrew Songs for Families” in 2015. Cantor Waltzman’s childhood was filled with Jewish music sung by her late grandfather Rabbi Cantor David J. Kane- a Holocaust survivor whose vocal talent secured him a space in a concentration camp children’s choir, ultimately saving him from the gas chambers. Cantor Waltzman was inspired by her grandfather to attend Cantorial School. Since ordination, she has worked as a self employed cantor at various congregations between upstate New York and Southern California, leading worship services, officiating at lifecycle events, and teaching B’nei Mitzvah students, and adult education.